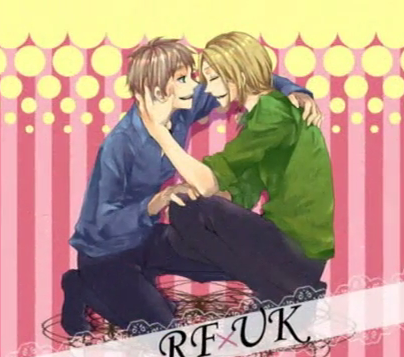 France x England. . Wallpaper and background images in the Hetalia Couples! club tagged: hetalia couples aph love uk france. This Hetalia Couples! fan art might contain wamevaa vizuri mtu, suti, suruali nyayo, pantsuit, mtu wamevaa vizuri, suti ya suruali, ishara, bango, maandishi, ubao, matini, ubao wa chokaa, picha, headshot, and closeup.